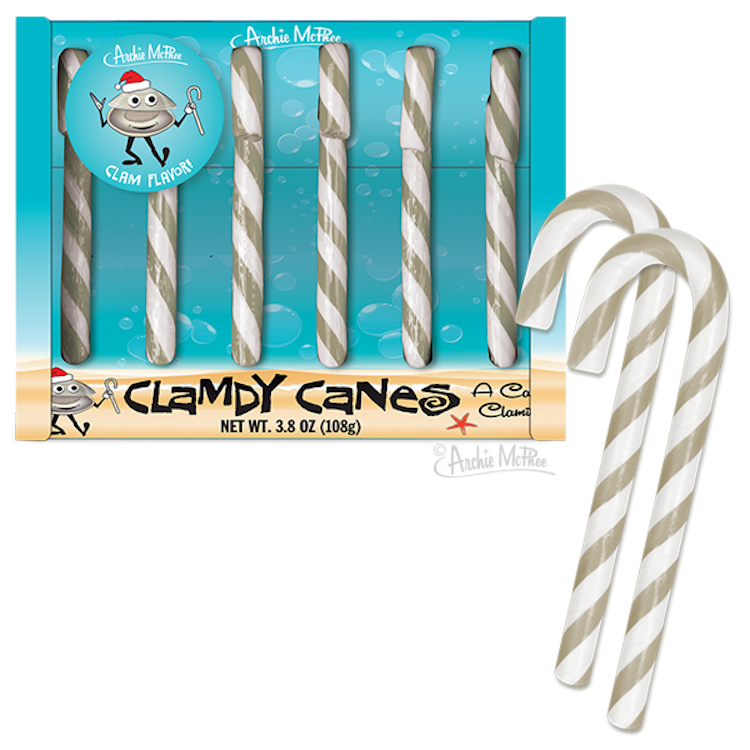 Online novelty retailer Archie McPhee, with a fascination for innovative ways so reinvent the candy cane, has released their unique Clamdy Canes, a set of six clam-flavored candy canes. This flavor is perfect those who prefer to spend their winters on the beach in warmer climes. 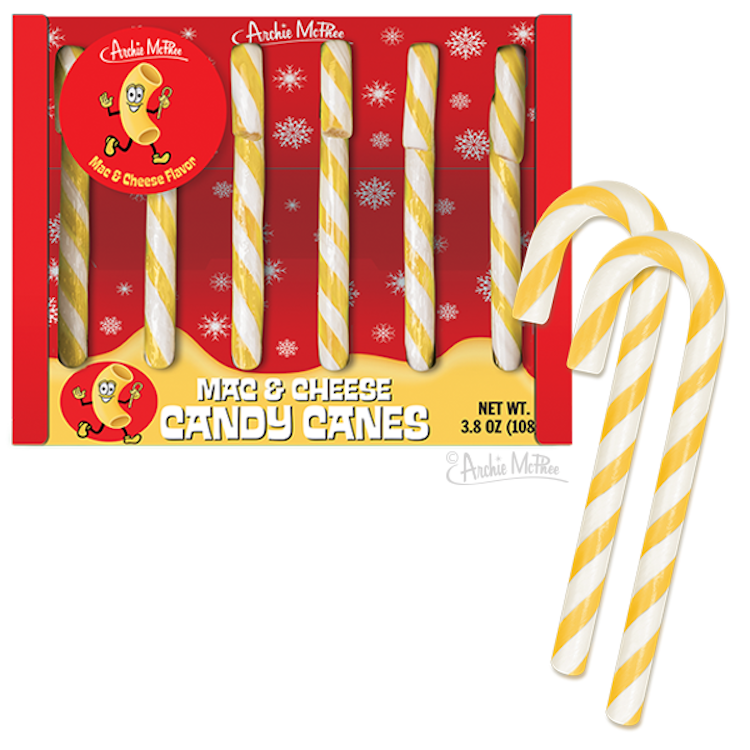 Archie McPhee also carries a comforting set of Mac and Cheese Candy Canes, which are perfect for those who prefer their holidays snuggling up with the family near a warm fire on a cold winter’s day.